Is all food created equally? The message is pretty simple: unprocessed foods give you a better chance of idealizing your weight — and your health. Because all calories are not created equal. Some foods, such as fruits and vegetables, are naturally low in fat. Other foods, such as nuts, avocados, and most meat and dairy products, are naturally higher in fat. For decades, food manufacturers have capitalized on the low-fat craze by convincing Americans that they needed them to manufacture healthy, low-fat food. 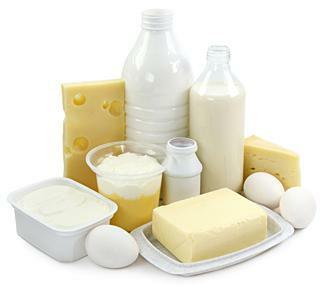 It seems obvious that altering the natural chemistry of high-fat food — such as milk, cheese, ice cream, etc. — would be harmful to the body. But that’s been the popular advice for years now. In reality, science tells a very different story. Bodies prefer natural foods — whether they are naturally low in fat, or naturally high in fat. A finding by the long-running Nurses Health Study at the Harvard School of Public Health suggested that women who consumed low-fat dairy products were more likely to experience infertility as a result of lack of ovulation. The study was published in the peer-reviewed European journal Human Reproduction in 2007. Fertility has always been one of nature’s markers for whether the environment (one component of which is the availability and quality of food) is hospitable and nutritious enough to support new life. According to the study, women who consumed high-fat dairy products were 27% less likely to experience trouble conceiving — even when all other factors were considered. A correlation between eating low-fat dairy products and infertility is a pretty convincing one to me! Author WEPosted on June 28, 2012 April 29, 2013 Categories Fertility, Statistics and Studies, Weight LossTags best diet, dairy products, high-fat, infertility, low-fat, weight lossLeave a comment on Is all food created equally?